1. Click on the Charts button. 2. 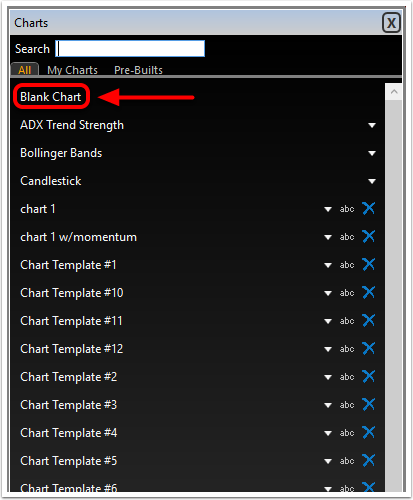 Selecting a chart template will open it in a new undocked window. 3. 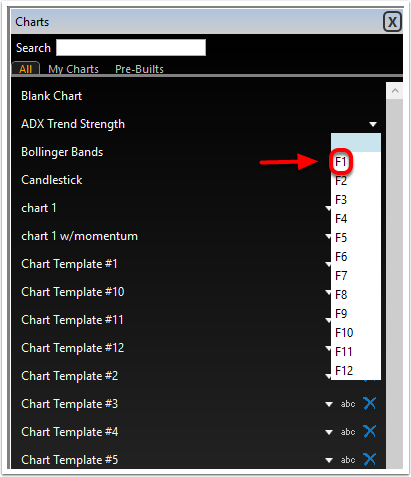 Select the white dropdown arrow beside any saved chart template to access the F key assignments. 4. Click on the Function key that you would like associated with that chart. 5. The chart now has an assigned Function key. 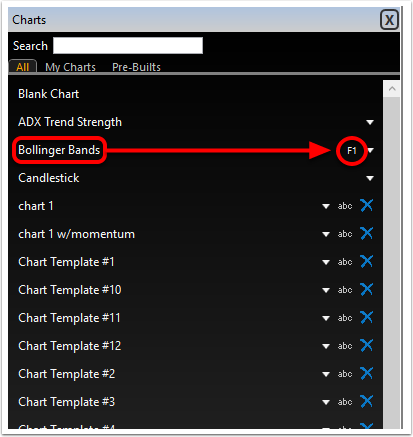 You can use F key assignments to quickly change between active chart templates in your layout.